Hong Kong is an exciting, bustling, chaotic and beautiful city. First time visitors may feel like they need an extra pair of eyes and ears just to take in all the new sights and sounds around them. Every corner of the city is packed with something interesting and unusual and you may be taken aback if you’re not used to such a busy city. Despite the crowds and what may initially seem to be chaos, Hong Kong is Asia’s World City and is a developed, modern and easy city to explore. 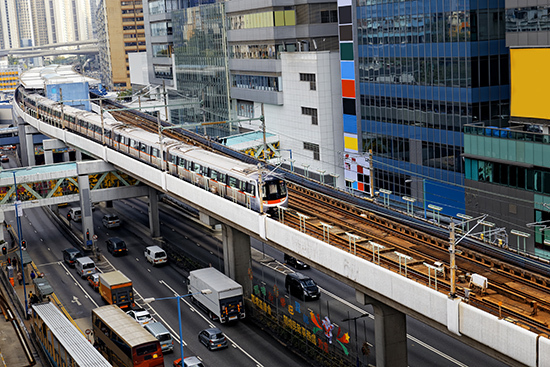 The Metro (MTR) train system is the easiest way to get around Hong Kong. You could opt for taxis but due to the traffic it’s much faster to take the metro and you’ll save yourself a small fortune too. You can purchase an Octopus Card at the airport. This is a contactless payment card similar to London’s Oyster card. It can be used for all public transport, including the Airport Express, which is the easiest way to get from the airport and into the city. If it’s your first time in Hong Kong it can be a very difficult city to navigate. Make sure you have detailed instructions on how to reach your hotel, particularly if you’re staying in a small, lesser known hotel. I usually use my smartphone and I’ll use Google Maps to drop a pin on my hotel location before I leave home. Your phone will then use GPS to track where you are in relation to the hotel so you can never get too lost. There are so many things to do in Hong Kong and most people visit the city for a limited amount of time. If you’ve only got a couple of days you’ll want to squeeze in as much as possible so make yourself a rough plan before you arrive to make sure you don’t miss a thing. 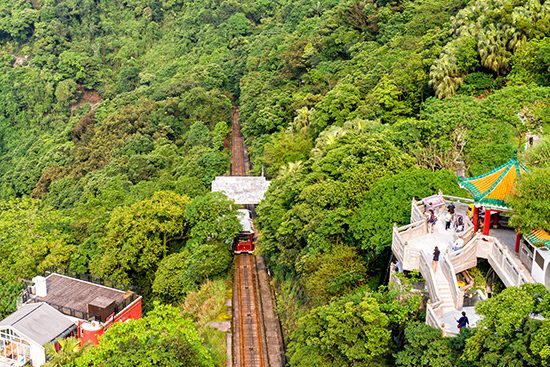 Victoria Peak – Take the funicular tram up to Victoria Peak for the best views across the whole city. This is one of the steepest trams in the world so the journey alone is something to remember. I’d go up an hour before the sunset so you can enjoy the views during daylight, sunset and night. A Symphony of Lights – This is an incredible multimedia experience and the largest light show in the world. Lights are displayed across Victoria Harbour from over 40 buildings on the opposite side. Shopping – Shopping in Hong Kong is an adventure in itself. Even if you’re not looking to buy anything, you’re going to have a lot of fun exploring the markets and malls. Don’t miss the Temple Street Night Market, Jade Market, Stanley Market and Bird Garden. Eating – Hong Kong is not the kind of place you’d ever want to be on a diet as there is just so much incredible food to try. Market food vendors are a great place to pick up cheap eats relish the opportunity to try as much new food as possible. 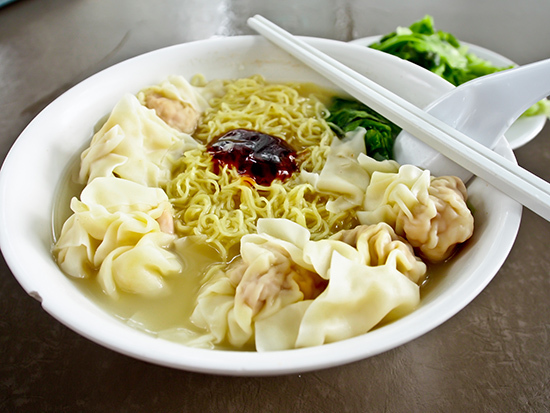 Foodies should also consider a food tasting tour such as Hong Kong Foodie Tours. You’ll learn more about Hong Kong’s history and culture through the food and get to sample lots of tasty dishes. If you’re looking for other places to eat and drink in Hong Kong, take a look at our guide to experiencing Hong Kong in style. 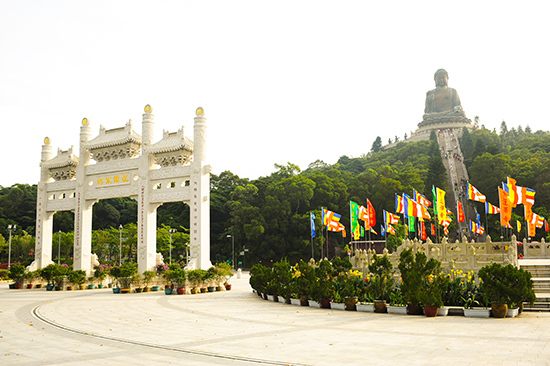 Visit the Big Buddha – Head over to Lantau to see the enormous, 34 metre high Buddha statue. It’s a bit of a hike but well worth it for the views. There’s so much to see within the skyscrapers of the city but some of Hong Kong’s highlights are outside of the city on the peaceful outer islands. Read all about Sophie William’s day trip to Cheung Chau Island where she enjoyed a completely different side to the city.